ALBUQUERQUE, N.M. -- The U.S. Department of Justice is set to release its report Thursday on the troubled Albuquerque Police Department and could mandate federal oversight and reforms costing the city millions of dollars, steps it's required of other law enforcement agencies it's scrutinized. The announcement will follow a more than yearlong investigation into possible civil rights violations and excessive use of force by Albuquerque officers. Complaints from local advocacy groups helped launch the inquiry. CBS Albuquerque affiliate KRQE-TV says the department's investigators have "spent time conducting interviews, digging through documents and reviewing videos as they investigate APD's culture" along with the possible civil rights violations. If a monitor is appointed, Albuquerque would join cities including Detroit, Los Angeles, New Orleans and Seattle that are subject to federal oversight. The Albuquerque Police Department has faced intense criticism for 37 shootings by officers since 2010 - more than 20 of them deadly. Critics say that's far too many for a department serving a city of about 555,000. Mayor Richard Berry has asked the federal agency to expedite its review and aid in reforms. His request followed a violent protest last month of the fatal shooting of a homeless man who had threatened to kill officers. He was gathering his belongings and turning away when officers opened fire, helmet camera video showed. Mayor Richard Berry has asked the federal agency to expedite its review and aid in reforms. His request followed a violent protest last month of the fatal shooting of a homeless man who had threatened to kill officers. The man was gathering his belongings and turning away when officers opened fire, helmet camera video showed. "We don't know exactly what it's going to say but it will be good to get that information because that's a big piece of what we need to move forward," KRQE quotes Berry as saying. The president of the city's police union says some officers fear how much the feds will influence the department going forward, KRQE reports. "Maybe some sort of implementations and obviously reform and change - we expect that to happen - but not being overtaken," Albuquerque Police Officers Association President Stephanie Lopez said. "Of course, that's a fear on everybody's mind." In 2010, New Orleans Mayor Mitch Landrieu asked the Justice Department to conduct an investigation into allegations of constitutional violations, corruption and discriminatory policies in the city's police department. The federal agency proposed a consent decree - a legally binding document in which a city promises to adhere to and maintain whatever reforms the Justice Department orders. The cost of instituting the city's consent decree was estimated at about $55 million over five years. 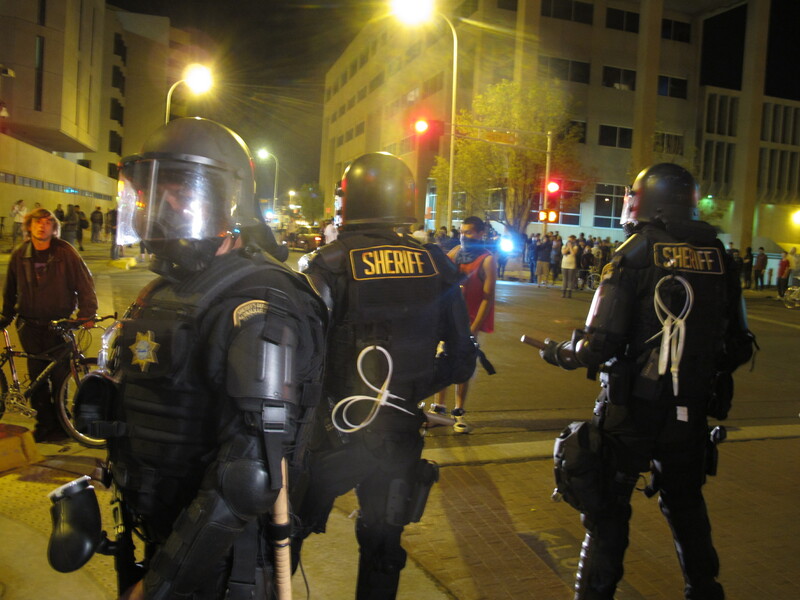 In 2012, federal officials found Portland, Ore., police engaged in a pattern of excessive force against people with mental illnesses. Federal investigators and the city reached a settlement calling for changes to police policies on use of force, stun guns, training, discipline and oversight. It also called for restructuring police crisis intervention training and faster internal inquiries into cases of police misconduct. The Portland reforms were estimated to cost $3 million to $5 million a year. In Albuquerque, officials said this week that they welcomed the Justice Department announcement and were prepared to negotiate with federal officials over a possible monitor. "As the Albuquerque Police Department has done for the past several years, we will continue to work cooperatively with the DOJ in order to implement the best practices for our community," Albuquerque Police Chief Gorden Eden said in a statement.